Riverview Center is a non-profit agency committed to providing compassionate, survivor-centered care for individuals affected by sexual violence in 14 counties in Iowa. We have offices in Marion, Dubuque, Waterloo, Manchester, and Decorah. Our free services include a 24-hour crisis hotline, legal and medical advocacy, long and short-term counseling/therapy, and violence prevention education programs. 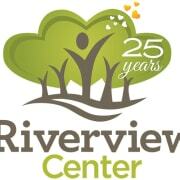 Would you recommend Riverview Center?